Two tools in one! Curved burnisher on one side, scribe/dry point on the other. 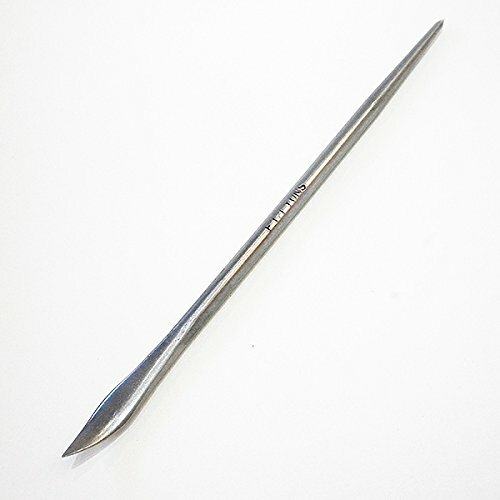 The burnisher side is perfect for flattening out burrs or burnishing up details in mezzotint. Made of high carbon tool steel. Total length is 7"